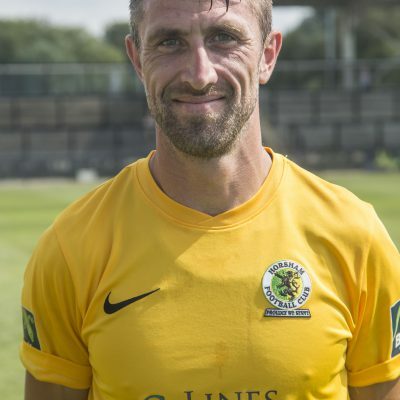 Joe is a no-nonsense footballer who enjoyed plenty of success in the Sussex County League before captaining Horsham back into the Isthmian League in 2016. Twice a promotion winner with Worthing United, he helped Clymping into the County League for the first time in their history before joining East Preston with whom he averaged over twenty-five goals a season to help them secure several league and cup winners medals in a highly successful three year spell. Followed EP manager Dom Di Paola to Hastings for a brief spell, returning to the County League with Littlehampton Town and captaining them to the Division One title. Made the switch to Horsham in July 2015 and was voted Supporters Player of the Year as he led the Hornets to the title, only to choose to remain in the division with Pagham. 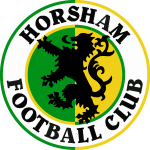 Returned to Horsham in October 2017 having begun the season at Horsham YMCA.